FILE PHOTO: FDA Commissioner Scott Gottlieb speaks during an interview with Reuters in New York City, U.S., November 26, 2018. 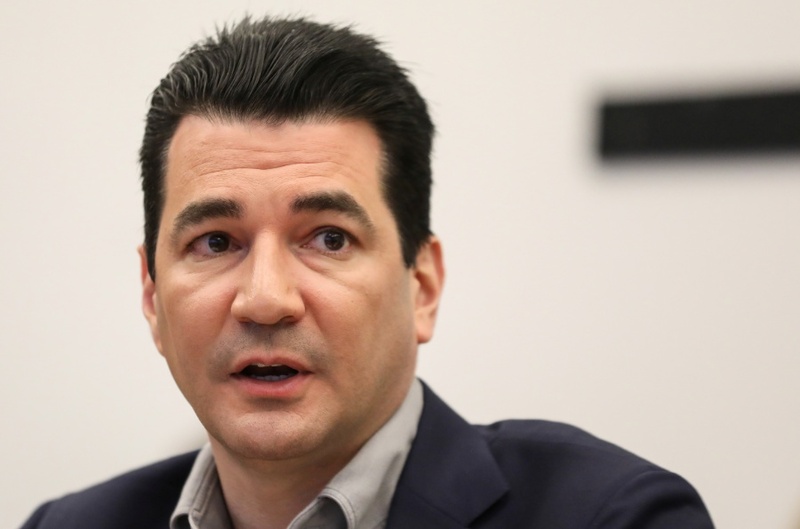 Food and Drug Administration Commissioner Scott Gottlieb is stepping down in the middle of his fight against “epidemic” teen e-cigarette use, Health and Human Services Sec. Alex Azar announced Tuesday. Sources close to Gottlieb say he is resigning so he can spend more time with his wife and three daughters, reported CNBC. They have been living in Westport, Connecticut, while he commutes back and forth to Washington, D.C.
President Donald Trump weighed in on Gottlieb’s pending resignation Tuesday. Scott Gottlieb, who has done an absolutely terrific job as Commissioner of the FDA, plans to leave government service sometime next month…. Gottlieb’s successor is unknown. He is slated to hold the position for another month, according to CNBC. The FDA had just called out pharmacy chain Walgreens and other retailers it said were caught selling tobacco products to minors in a press release Monday. Gottlieb also requested Monday that Walgreens’ management team meet with him. Gottlieb made enemies out of e-cigarette companies like JUUL by cracking down on them in hopes of cutting down teen vaping, which he called an epidemic. He didn’t make fans among some in the conservative faction, either, who viewed his policies as anti-free market.